Welcome to the Palm Springs Life Desert Living Edition — our annual celebration of the bright, colorful, and action-packed California desert lifestyle. This volume packs tons of useful information for visitors and serves as an indispensable reference for the ballooning number of year-round residents. A veritable user’s guide to the desert, Palm Springs Life showcases the best of the desert — page after page of celebrity sightings, sophisticated fashion, world-class shopping, luxurious houses, fine art and dining, and exciting attractions. Perhaps the most dramatic and distinguishing quality of our beautiful desert is its mountain perimeter — the Santa Rosa and San Jacinto Mountains National Monument. Once you’ve been here for a while, you’ll be able to pick out the most recognizable peaks: San Gorgonio, San Jacinto, and Mount Eisenhower. 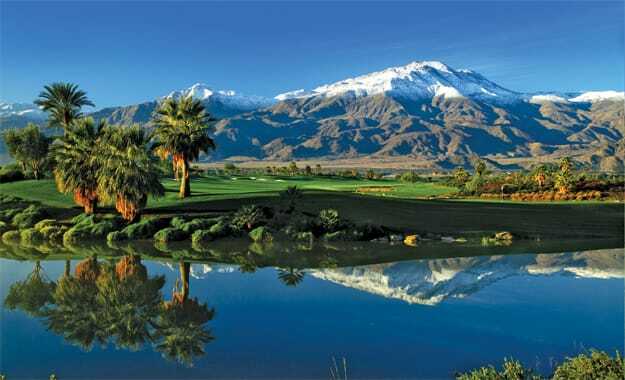 If you drove into Palm Springs on Highway 111 off Interstate 10, you passed one of the most iconic escarpments: the North Face of Mount San Jacinto, described by writer Ann Japenga as “an in-your-face wall of granite heaving up to 10,834 feet and etched with waterfalls. For many months of the year, a distinct Y of snow near the top marks the … chute to the summit.” It’s breathtaking. Cars often stop on the way into town to marvel at its rugged beauty. In her story, “Above & Beyond” (page 68), Japenga writes of the North Face’s formidable reputation among extreme climbers who have climbed (or tried) to reach the summit. In addition to the most tempting entry point being off-limits to the public, “The punishments include collapsing snow caves with rivers running underneath, avalanches, falling rock, extreme cold, and unearthly fatigue,” Japenga warns. Yet, the mountain has a fascinating history and a mighty important present: the purest drinking water in the desert. The Desert Water Agency, which owns property — and prohibits entry — in Snow Creek at the base of San Jacinto, protects the resource with all the force it can muster. Palm Springs Life supports the agency’s position, and Japenga’s story includes a map highlighting the off-limits area. The desert’s sand dunes, mountains, railroads, palm groves, and Native Americans have long been the favorite subjects of photographers. In “Focus on the Past” (page 76), we serve up a photo essay with images dating earlier than the 1920s. The generous captions accompanying each photograph offer insight to the rich heritage of the Coachella Valley. You might even recognize a few locations! This issue also steers you to the finest shops, restaurants, galleries, golf courses, spas, attractions, and much more. We encourage you to turn to the Desert Guide, which includes listings of these establishments, as well as a yearlong calendar and helpful maps to orient you to locations. I encourage you to visit our Web site — www.palmspringslife.com — for the most up-to-date calendar of events and a wealth of articles that will help you optimize your desert experience. Over 16 years, www.palmspringslife.com has emerged as the most trenchant, content-rich site for tourists and residents. Click and you will find timely articles and directories to innumerable points of interest. The site is a valuable resource that we hope you will reference with great ease and frequency. It’s a lot to take in — as is the desert itself. We hope you’ll want even more and subscribe to our monthly edition. By doing so, your order will include the 2010/2011 Palm Springs Life Desert Living Edition and a variety of resource-rich supplements that inform, advise, and entertain. Call 800-775-PALM or visit www.palmspringslife.com. Enjoy your Palm Springs Life.